Jaime Maussan was born in 1953 in Mexico City. After one year at the National Autonomous University of Mexico (1972-73) he attended Miami University (Ohio) and graduated with a B.A. in Radio and Television. During his college years, he was Midwest Correspondent and sports reporter for Televisa (Mexico). His present occupation is host of the popular weekly radio program 'Extraterrestrials: An Intelligent Phenomenon' which also discusses many space science topics including the possibility of artificial structures on Mars. His program is heard on 15 different radio affiliates in the 25 largest cities of Mexico and Guatemala. It is also available as an internet stream via EXA FM. He also works as an Investigative Journalist/Anchorman and General Producer of the TV show 'Tercer Milenio' that is broadcast via the Televisa Network to all Latin American countries, Europe, the United States and also through the Sky Satellite System. In 1996, he was producer of the feature radio program 'Jaime Maussan, UFOs and Other Mysteries' transmitted through XEW Radio and the RASA Network, which became one of the most popular radio programs in Mexico. Jaime has earned many awards for his films, radio and television shows both in North America and Europe. He received a special award at The Capitol Hill in March 1982, the Premio Ondas award in Barcelona in 1980, and the Global 500 award from the United Nations in 1990. 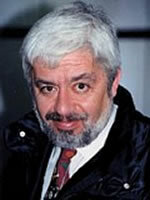 He also received the National Journalism Award from the Journalists Club of Mexico in 1983, 1987 and 1993. He was presented the 'AMPRYT' award for the TV program '60 Minutos' in 1990-91-92. His investigations into the still on-going Mexico UFO wave has garnered world-wide acclaim and he has been invited to speak at conferences around the world. Website: Massaum Producciones: http://portal.jaimemaussan.tv. Jaime Maussan is a member of the Advisory Board of the Exopolitics Institute.